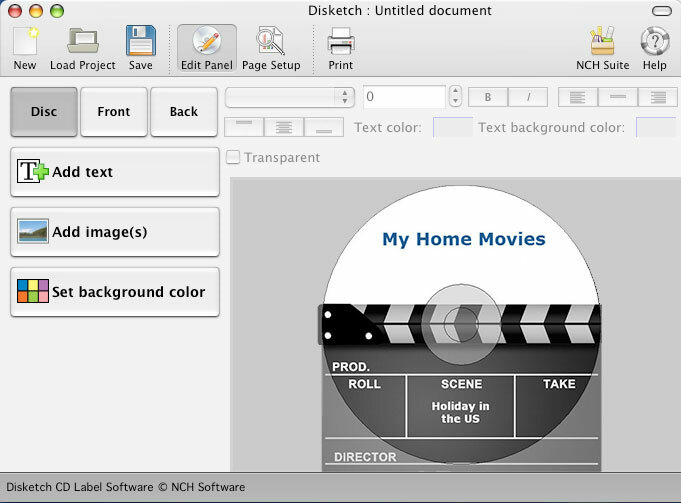 Disketch Plus is CD and DVD disc labeling software for Mac. It allows you to create CD and DVD disc labels as well as cover images for CD and DVD jewel cases. You can import your own art work, or set a simple background colors and organize artist information along with track lists. Easily match the cover art with your discs by simply switching between views. Import the track names directly from your CD. Creating professional CD and DVD labels is fast and fun with Disketch. You will be able to create professional looking DVDs to audio CDs within minutes.